Sleek and sophisticated are the first two things that come to mind when wearing this stunning Citizen® timepiece. 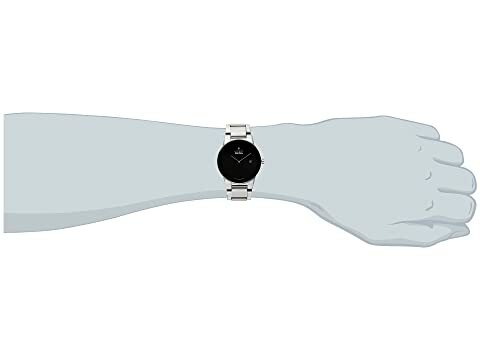 Using the most advanced technology in watchmaking, the Eco-Drive never needs a battery. 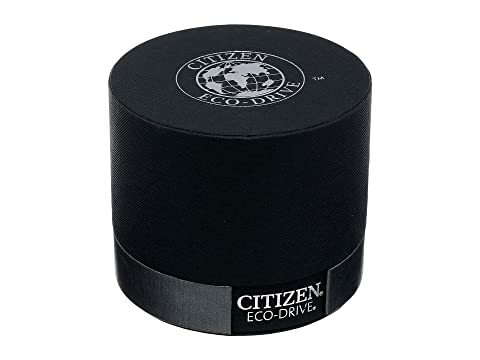 Citizen's Eco-Drive technology harnesses the power of light (natural or artificial) and converts it into energy which is stored in a permanently rechargeable lithium-ion cell. Recharges continuously and has a power reserve that lasts from 6 months to 5 years (depends on model). 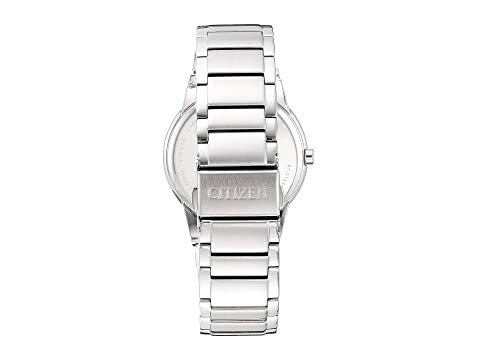 Silver-tone stainless steel bracelet features a fold-over clasp closure with push-button release. 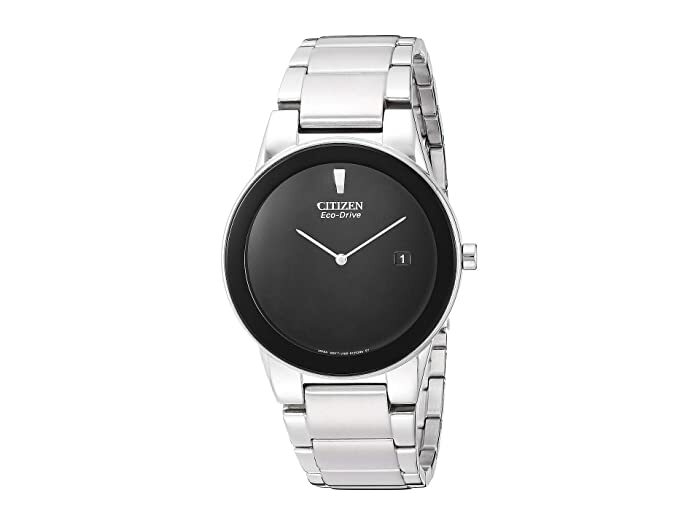 Featuring a black dial with silver-tone hands, stick marker at twelve o'clock, logo and date window. 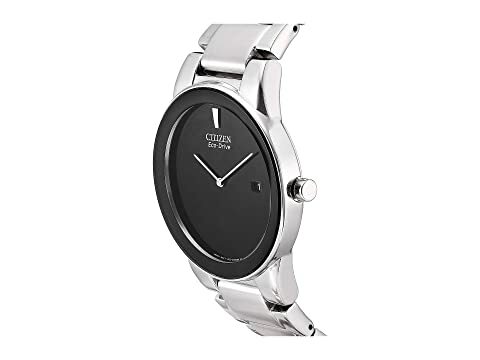 Two-hand Eco-Drive™ quartz movement with date display window. Water resistant 30 meters/100 feet.